Venkateswara Rao, P., Appa Rao, B., Radhakrishna, D. (2012). Experimental Analysis of DI Diesel Engine Performance with Blend Fuels of Oxygenated Additive and COME Biodiesel. Iranian Journal of Energy and Environment; previously called: Iranica Journal of Energy & Environment, 3(2), -. P. Venkateswara Rao; B.V. Appa Rao; D. Radhakrishna. "Experimental Analysis of DI Diesel Engine Performance with Blend Fuels of Oxygenated Additive and COME Biodiesel". Iranian Journal of Energy and Environment; previously called: Iranica Journal of Energy & Environment, 3, 2, 2012, -. Venkateswara Rao, P., Appa Rao, B., Radhakrishna, D. (2012). 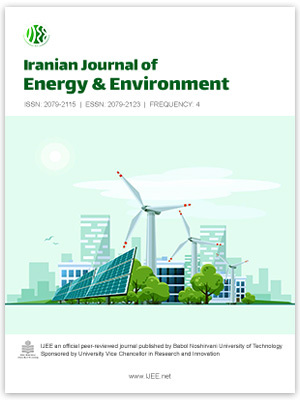 'Experimental Analysis of DI Diesel Engine Performance with Blend Fuels of Oxygenated Additive and COME Biodiesel', Iranian Journal of Energy and Environment; previously called: Iranica Journal of Energy & Environment, 3(2), pp. -. Venkateswara Rao, P., Appa Rao, B., Radhakrishna, D. Experimental Analysis of DI Diesel Engine Performance with Blend Fuels of Oxygenated Additive and COME Biodiesel. Iranian Journal of Energy and Environment; previously called: Iranica Journal of Energy & Environment, 2012; 3(2): -.